Op-ed: There is a difference between amicable ties—which Israel should maintain with every country except those tainted by war crimes and crimes against humanity—and a tight relationship with countries that might jeopardize Israel’s future once there authoritarian leaders disappear. Do countries, and in particular Israel, should have moral or liberal considerations when foreign relations are concerned? This is a resonating question, and the answer, let’s be frank, is not obvious. 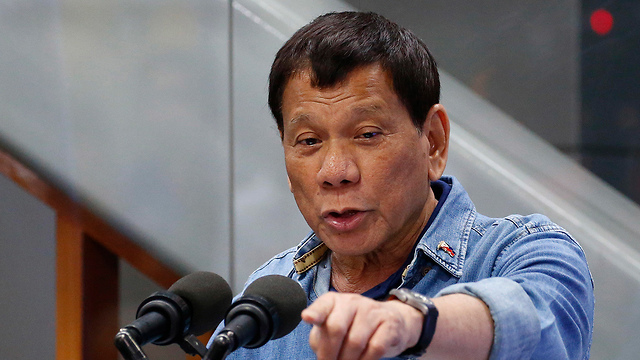 If Philippines President Rodrigo Duterte supports Israel, why should we care he admitted killing citizens with his bare hands? 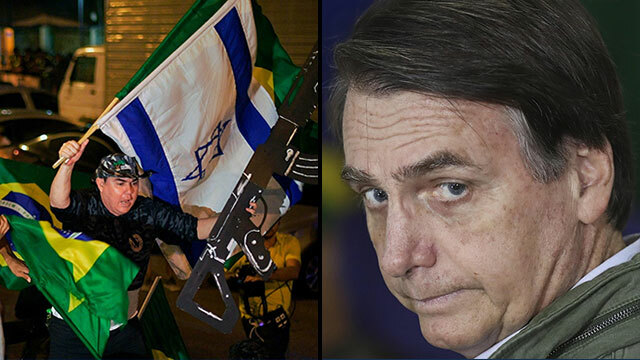 Does it matter Brazil’s president-elect Jair Bolsonaro—who is an avid admirer of military dictatorship—threatens to kill left-wing activists if he says he plans to move the Brazilian embassy to Jerusalem? Diplomatic relations are mainly based on interests. An everlasting attempt to educate other countries—many of them being non-democratic—is not necessarily effective, and when initiated by superpowers is rarely successful. One example for that is the United States’ conduct in the 1990s, and it is safe to assume Israel’s attempts would be even less effective. Prime Minister Benjamin Netanyahu has immediate concerns: the government seeks to promote the transfer of all embassies to Jerusalem, eliminating any recognition of the Palestinian state. 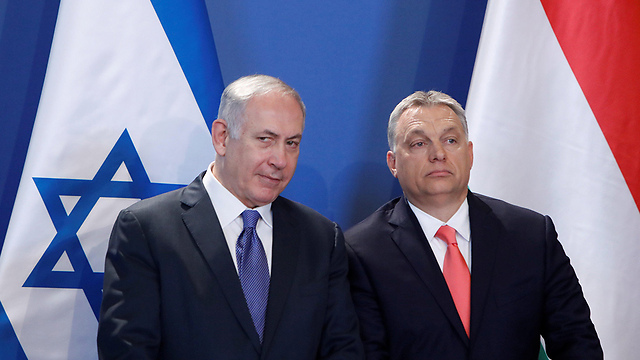 Those who are willing to cooperate, including Hungarian Prime Minister Victor Orbán who is considered an instigator of anti-Semitism, will be considered as legitimate. These claims are repeatedly heard when a dictator or a leader, who was democratically elected, aspires to limit freedom in his country, but supports Israel. Those claims should be addressed, since the error that appears in these assumptions is profound and has far-reaching implications. First of all, foreign policy is not short-term based, but mainly relies on long-term relations. What will happen the day after Orbán, Duterte, US President Donald Trump and others? Does Israel have friendly relations with these leaders, or relations of public political support? To answer this question, it would be wise to examine how leaders use Israel, and what the other political wing has to say about the Jewish State. There is a difference between amicable ties—which Israel should maintain with every country except those tainted by war crimes and crimes against humanity—and a tight relationship that might jeopardize Israel’s future once the authoritarian leader disappears. Perhaps Israel should preserve its good relations with Duterte. However, inviting him to Israel, the only Western country in which he visited, was exactly the wild exaggeration that will cost Israel in the political arena. For Netanyahu’s government it is important that Poland halts European initiatives to promote the peace process, and in return maybe the government will be willing to help the Poles to apply pressure on the US and support them as they face Russia. But is it worth happily accepting a humiliating compromise agreement with Warsaw regarding the historical role of Poles who collaborated with the Nazis during the Holocaust? So the first mistake is short-term thinking—the willingness to immediately sell all of Israel’s political assets in exchange for curbing an already unsuccessful Palestinian initiative. The second mistake is the assumption that Israel, as the state of the Jewish people, does not have the obligation of being careful, moral and practical. Moral, since as a nation persecuted for years, The Jews have always been devoted to civic and human rights, and have desperately promoted—sometimes sacrificing themselves—a liberal reality. But this conduct is also perceived as naïve, since there is an obligation of practical caution in such relations. The reason countries seek to achieve close ties with Israel does not only stem from the fact Israel is a successful nation that has good relations with the US. By maintaining a friendship and a partnership with the Jewish State, those countries are provided with the tools to clean themselves. And this is precisely why the Jewish people must act with moral caution, since the persecuted Jews made sure to promote the liberal values of enlightenment. The obligation of acting with caution means not to destroy something that can be of value to Israel, not for Brazil nor for Hungary.